If you tour and visit Anastasia Island State Park, stop by the other St. Augustine Attractions nearby such as the St. Augustine Lighthouse or the Castillo de San Marcos National Monument. Both of these spots are convenient to our St. Augustine Inn, Carriage Way. The St. Augustine Lighthouse is an active lighthouse on the north end of the island. The tower that is standing today was constructed in 1874 by the newly instituted, American Government. According to archives and historical maps of the Old City, the tower was constructed at the site of where an older, Spanish owned watchtower was located in the late 16th century. The tower has seen many unique moments in history, including the Charleston Earthquake of 1886 which caused the St. Augustine Florida Lighthouse to noticeably sway. It was managed for 20 years by William A. Harn, or Major Harn, as he was known during the Civil War. A Union war hero, Harn and his family of six daughters lived in the St. Augustine Lighthouse keepers' house. The keepers' house, a Victorian duplex, was constructed during his time. After receiving modern amenities such as electricity, the need for a permanent light keeper diminished. The keepers' house was then rented out, and later almost was destroyed by a fire. In 1994, the museum at the Lighthouse at St. Augustine Florida opened. The St. Augustine Lighthouse was transferred from the U.S. Coast Guard to the non-profit organization that runs the museum today. They still keep the light burning as it still aids in navigation. The organization runs many programs including an archeological maritime program and special tours that attract all walks of life. The goal is to educate everyone about St. Augustine and connect people to the marine sciences. The St. Augustine Lighthouse is visited annually by over 190,000 people. Would you like to stay in a unique, historic location? Check out our St. Augustine Inn, Carriage Way. One of the many Hotels in St. Augustine Florida in the historic district, Carriage Way is a romantic, 130 year old Victorian home with charming covered porches and elegant rooms. Learn more about our St. Augustine Inn and plan your trip today. 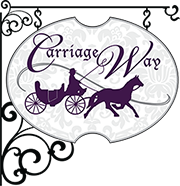 Instead of choosing to stay in the uninspired chain Hotels in St. Augustine Florida, plan to stay at Carriage Way during your St. Augustine Florida Vacation. We feature Romantic St. Augustine Getaway and Weekend Girls Getaways.